Our children have one chance for a K-12 education and it needs to be the best we can provide. KPBSD is committed to deliver a quality education to our students and provide stability for our staff and communities. Unanticipated education funding reductions, proposed this late in the budgeting process, compromises our ability to prepare our students for their future. Proposed cuts will compromise the ability of schools to deliver quality education and vital programs. 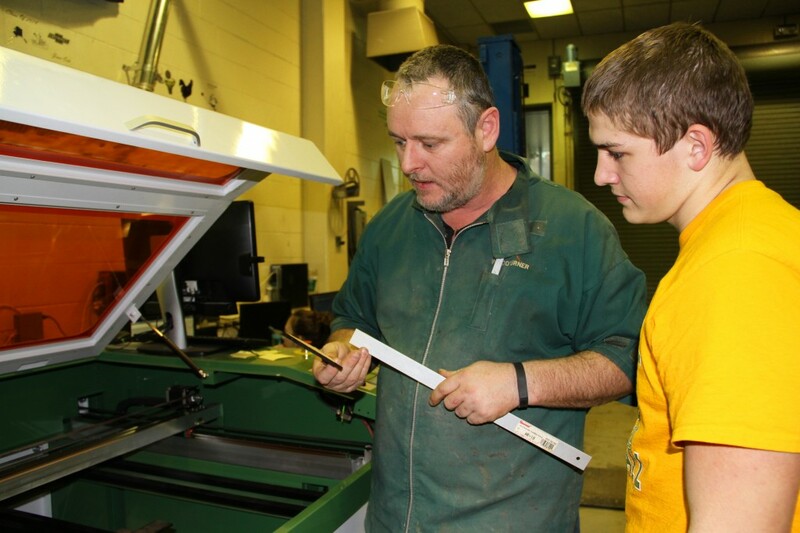 “In addition to our Career and Technical Education (CTE) courses, art, music, and technology education, we have been able to increase the amount of college prep classes we are able to offer at our school,” said Dan Carstens, Nikiski Middle-High principal. “Our AP course offerings have doubled in the past year and we were able to offer an honors course to our freshmen and sophomore classes. Our main focus is to differentiate what we offer to our students to best meet them at their current levels. The bottom line is that we have a fine balance of offerings to meet the needs of our diverse population at Nikiski Middle-High School. For the next school year, in part due to enrollment and budget reductions, we already needed to eliminate one full position. We were able to manage this reduction while still being able to offer our complement of courses, albeit at a decreased level. Obviously it was not our desire to eliminate a position, however, we also understand the need to reduce our spending with the state income not what it used to be. When I learned of the possible additional reduction to the BSA [Foundation Formula 4.1% reduction], I was taken aback and immediately examined my current staffing sheet to determine what else could go. It came down to programs and opportunities for our students. … I then looked at our CTE programs and would have to have lighter versions due to the fact that our instructors would need to teach a wider variety at mainly a beginning level. In other words, not a deep understanding, only introductory. Which would be a shame, especially with the variety of equipment we currently possess. Please contact legislators to voice your opinion about the proposed reductions to education funding. A joint Finance and House conference committee has formed for HB 72 and will be meeting soon. This entry was posted on April 8, 2015 at 5:39 pm. You can follow any responses to this entry through the RSS 2.0 feed. You can skip to the end and leave a response. Pinging is currently not allowed.